There are legit reasons why I feel unhappy and unsatisfied in my home life. I remind myself that I am feeling this way today, not every day. Just today. I think that when I worked full time, I could submerge my difficulties at home into successes at work. I got good at compartmentalizing. That was one of my keys to success. And, in a way, I’ve had part-time work this week — going to the movies. I have seen three movies and one play in five days. Last night, at the Public, I saw Sorry by Richard Nelson. The story was about four adult siblings on Election Day putting their demented uncle in a home. Really good. Today, I saw Cloud Atlas. It was a trip. Set in six different time periods, the characters return as descendants from an earlier time or, maybe, as reincarnated souls. They are marked with a shooting star tattoo. 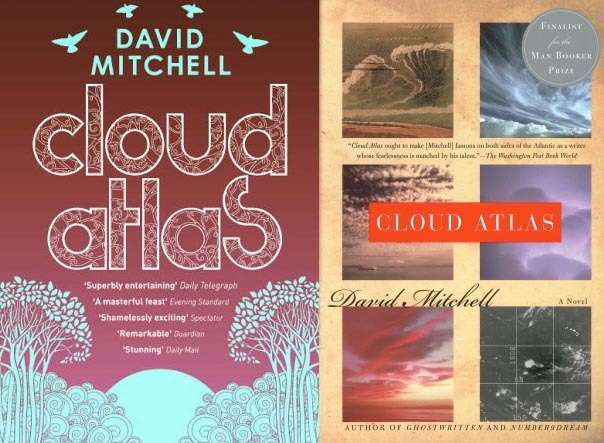 Cloud Atlas, based on the book by David Mitchell, reminded me that our lives are interwoven, past hurts are revisited. The people in power corrupt and exploit those in their care. When consumerism and greed is the value upon which a society is based, take heed. Yet kindness in the extreme can heal the wounded souls and societies. So going to the movies this week has left me with lofty thoughts. I put my grievances aside. For today. Just today. I probably should go to therapy instead of the movies. Yet I find my way of coping entertaining. Next > Want to Run Away?